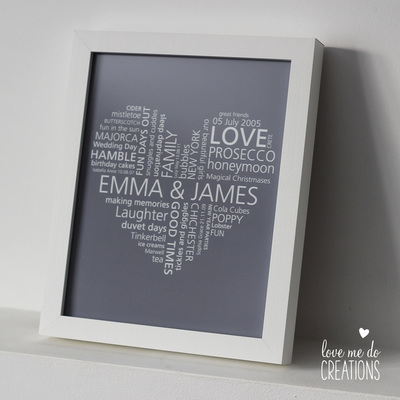 Bespoke artwork created to your own specification, for that truly unique gift that you can treasure forever. 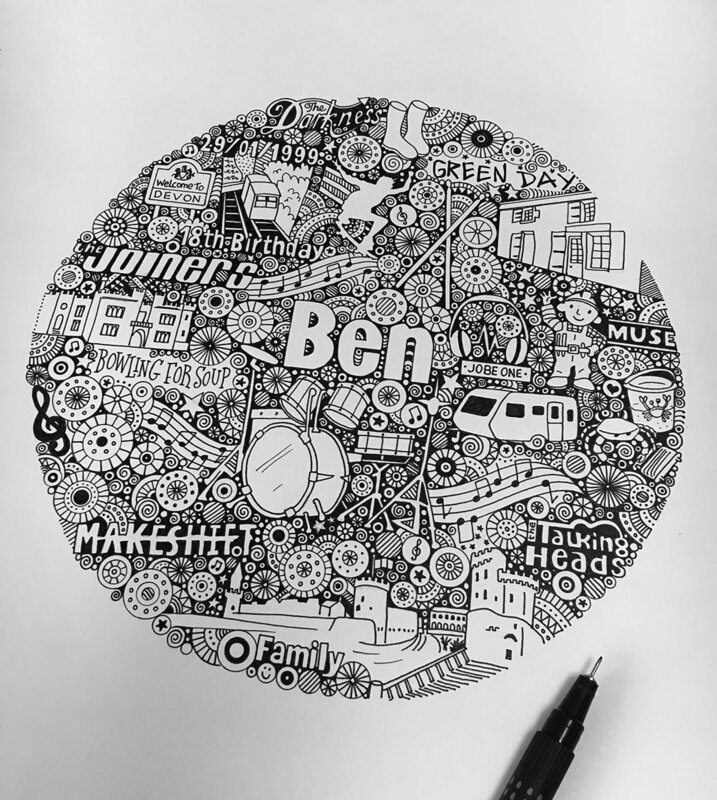 Hand drawn 'doodle' creations, perfect for a truly personalised gift. Whether it's a new baby, a christening, special anniversary or wedding, or just to let someone know they are loved. Either have the original black and white drawing, or it can be coloured to suit the room it will go in. 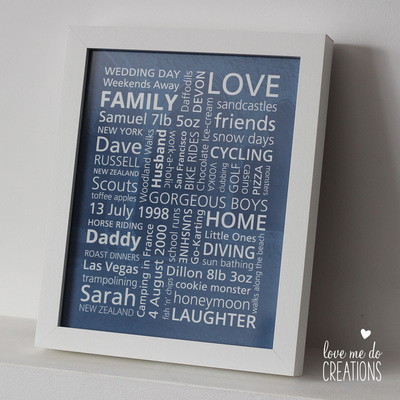 All come framed to your specification. No matter what the occasion, these are the perfect gift. 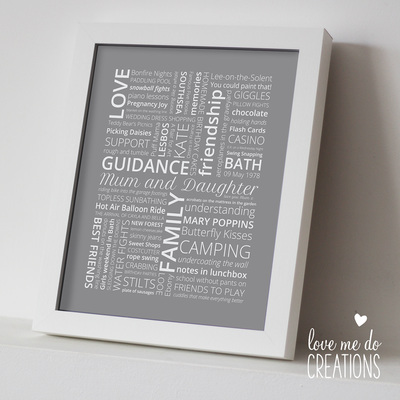 A treasured piece of art full of memories, made to your specifications. Get in touch for details. I love working to a brief, so if you have an idea of something you'd like, then get in touch and we can work together to create a unique piece of art. 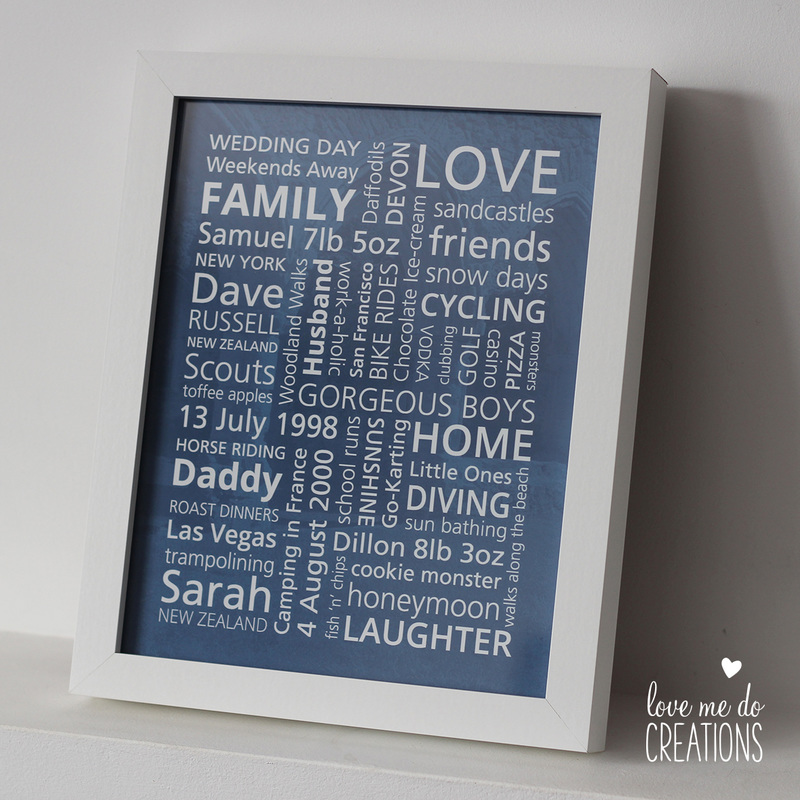 "We received a fantastic personalised housewarming gift courtesy of Love Me Do Creations. It was and still is an amazing talking point when people come to visit, the level of detail and personality which goes into the designs is not to be underestimated. Thanks!" 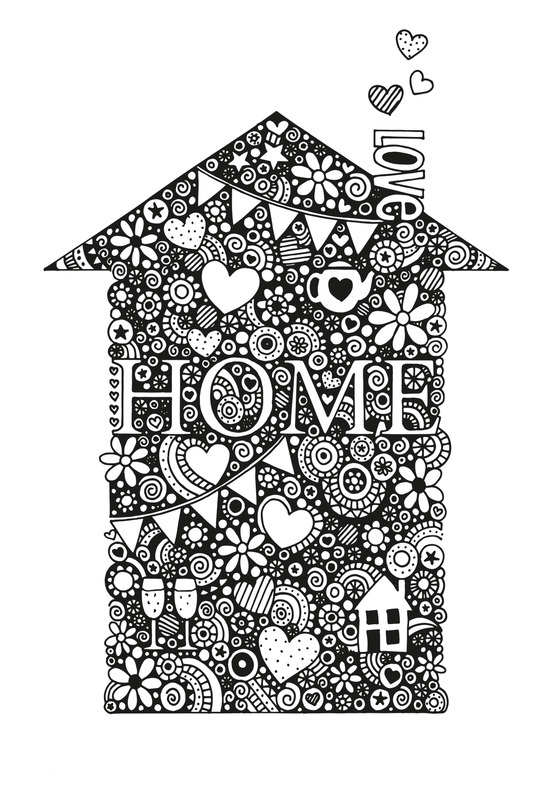 "A fabulous personalised 'new home' gift made for some special friends. From start to finish it was so friendly, helpful and professional. I cannot recommend them enough...thank you!" 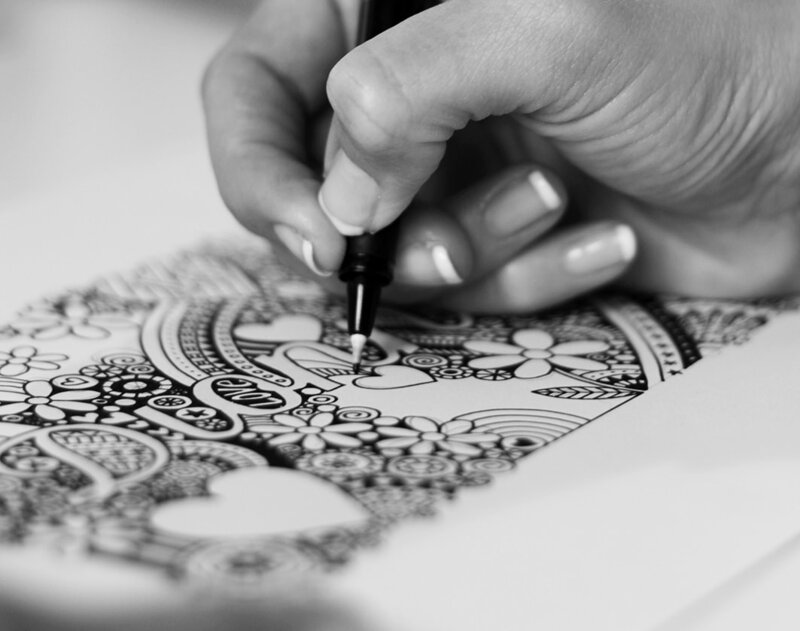 "I love Lyndsey's creations... and so do the friends I have commissioned prints for; personal, creative and unique."